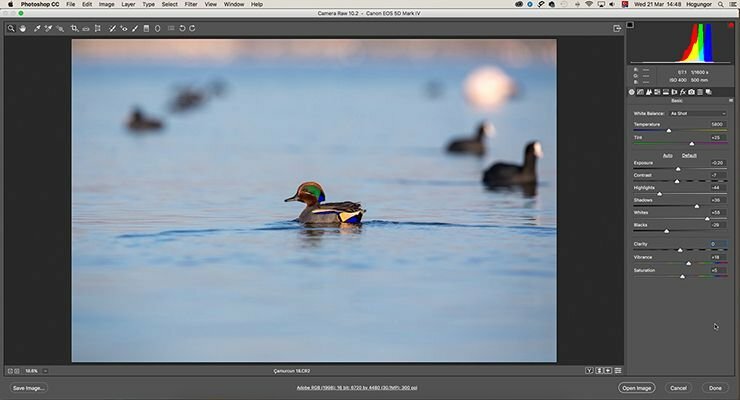 Probably, the most common question asked by a bird photographer is how to post-process images and what method to follow on Photoshop. 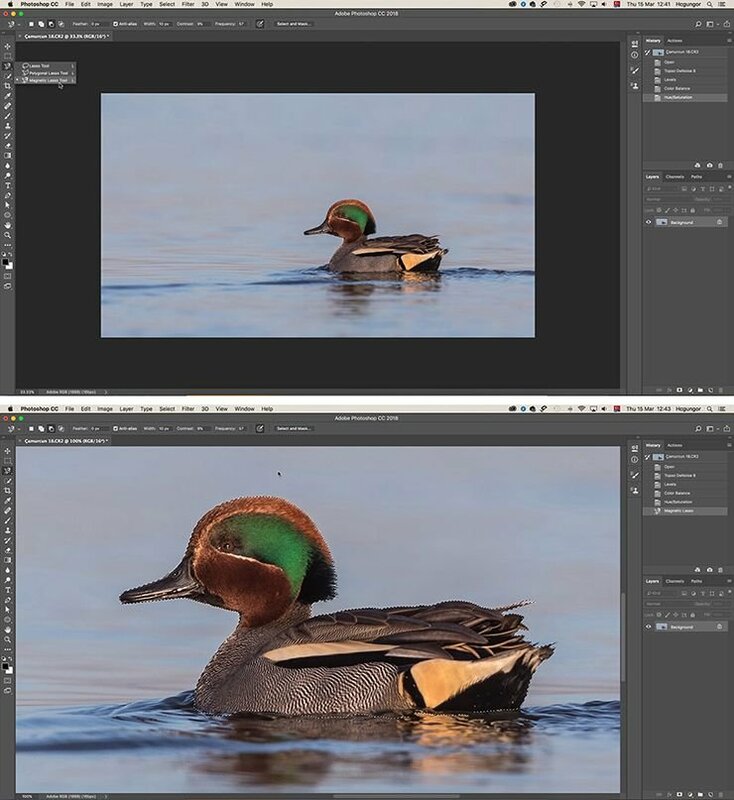 I’m using Photoshop CC 2018 while processing my bird photographs and follow almost always the same method which I will share with you in this article. 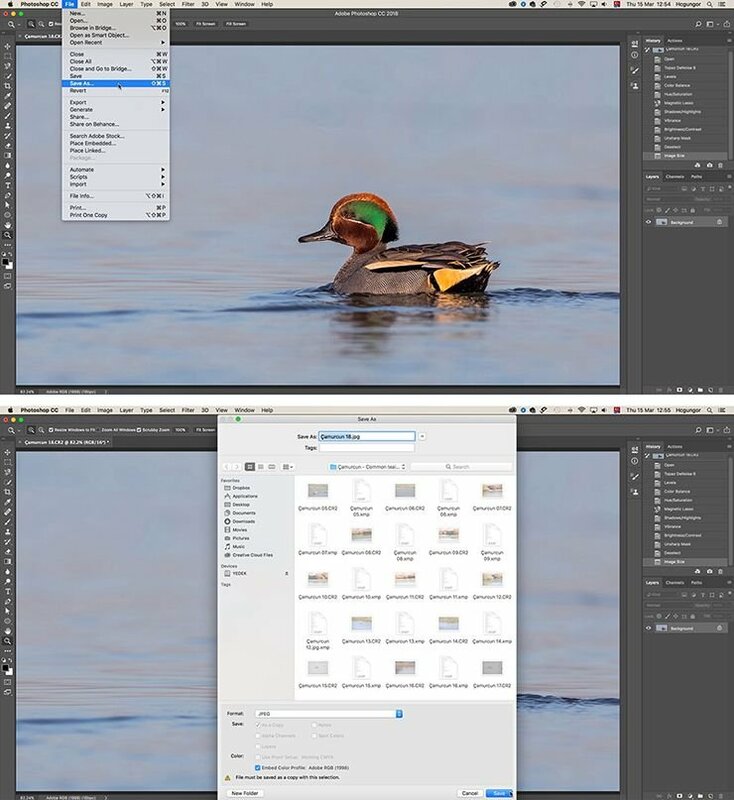 As I always shoot RAW, I start with double clicking the CR2 file which is the RAW file format for Canon cameras (yes, I’m a dedicated Canon user) to open it on Photoshop Camera RAW. 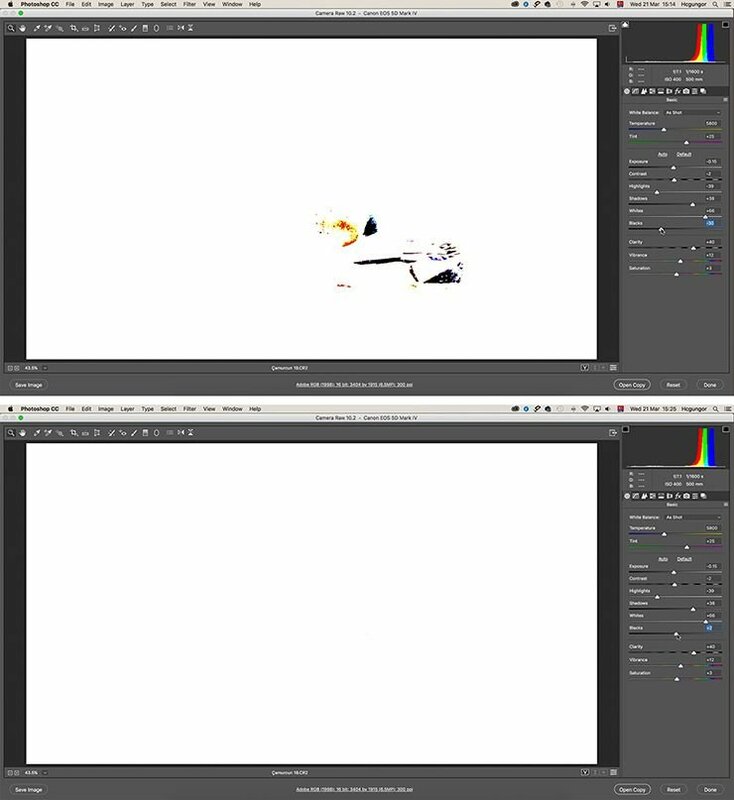 When processing images on Camera Raw, I always keep the Shadow clipping warning (U) andHighlight clipping warning (O) ON. so that I may see the exploded areas on the image. 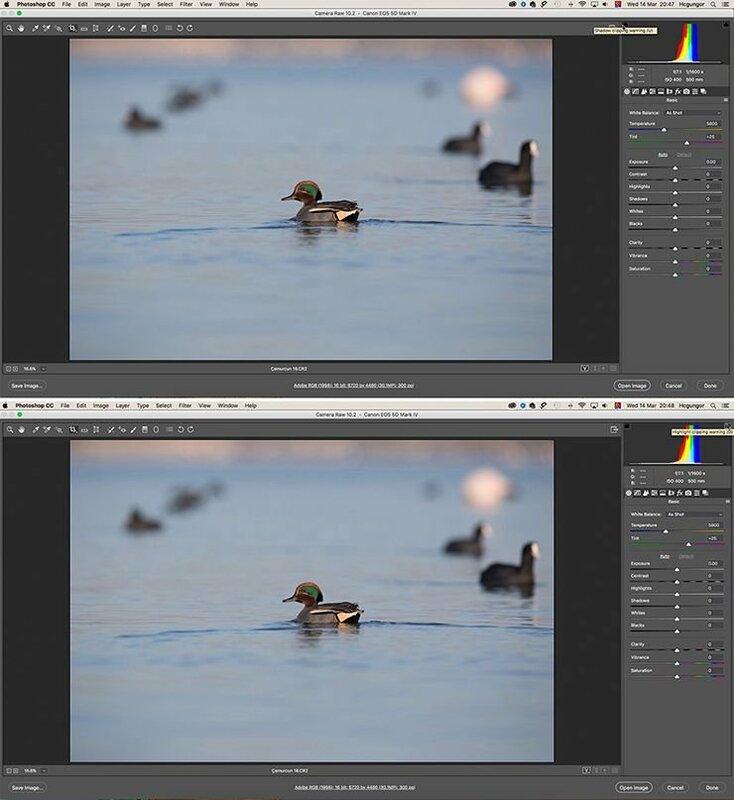 So before making any adjustments on the RAW image, I crop the image to my liking which is almost always 16:9 format. 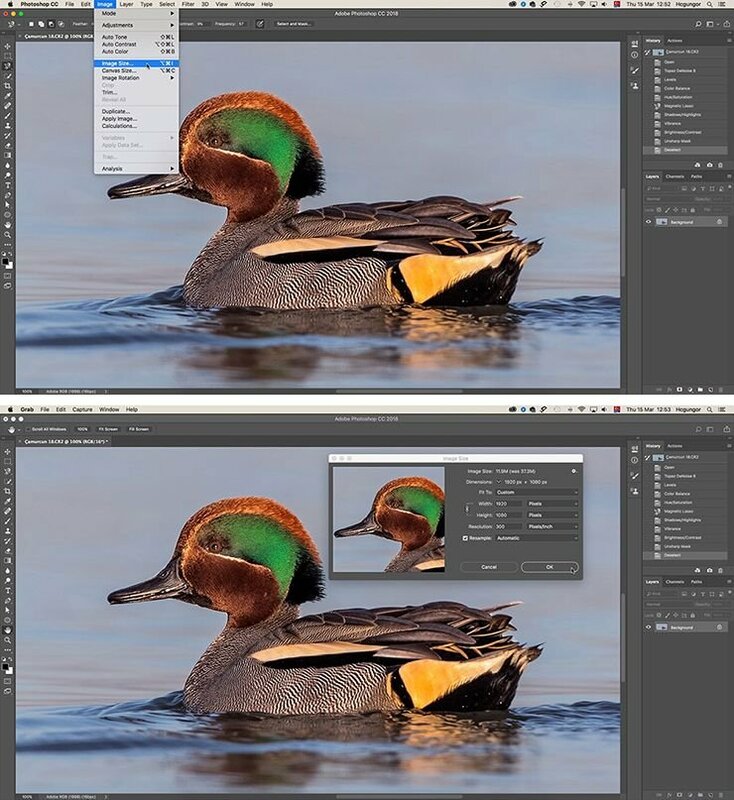 This gives me the opportunity to easily adjust the image size to Full HD or 4K format whenever I prefer to use it. Generally I use this format for the images I upload to Facebook and Instagram) and after cropping the image, I carry on with making some adjustments with the tools on the right panel. 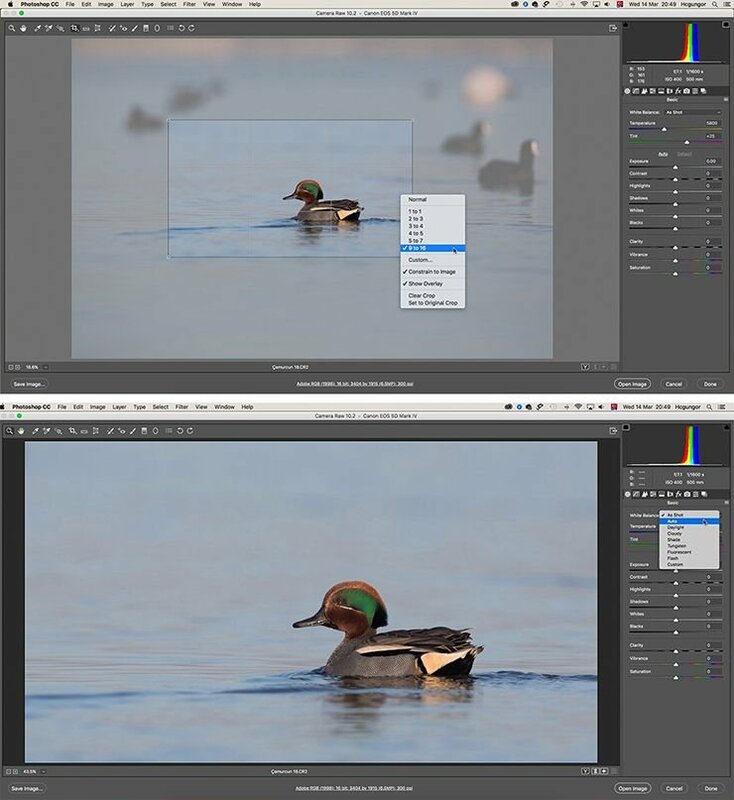 Starting with Basic tab, I first check White Balance . I generally leave it on As Shot option. Then I click Auto to see the exploded parts of the image and increase the value on Clarity to +40 to give the image some clarity. Then pressing the ALT key, I move the sliders left or right for Blacks, Shadows, Highlight and Exposure respectively until I get rid of or almost get rid of the exploded parts (the blue, yellow and red parts) in the image. Following is the before and after image example of adjusting Blacks slider. 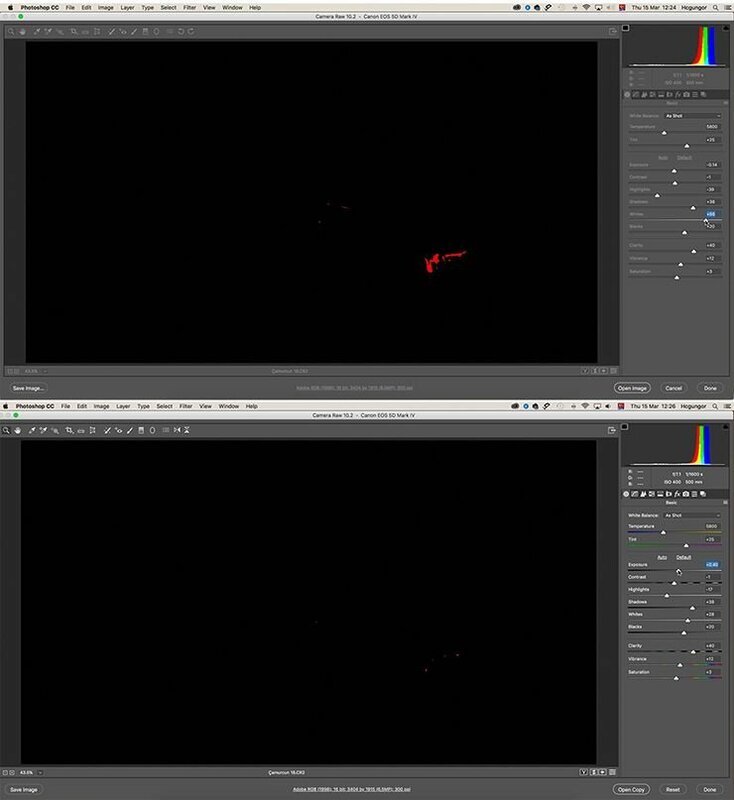 And these are the examples of Red exploded areas when you press the ALT key while moving the slider on Whites and when processing Exposure. 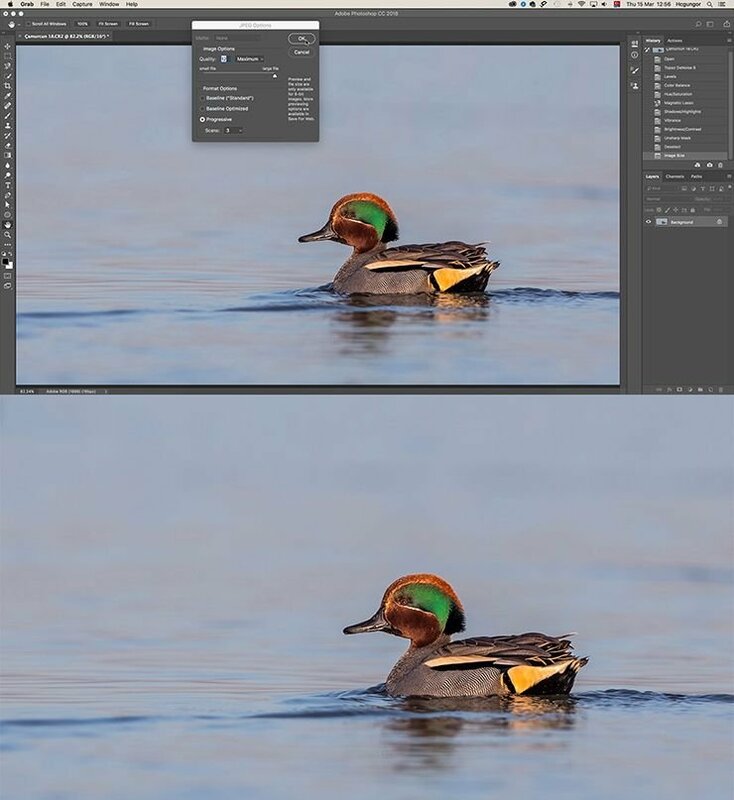 When I’m satisfied with the result, I move forward to the Detail tab where I increase Sharpeningto +35 to sharpen the image just a little bit before processing on Photoshop main window. 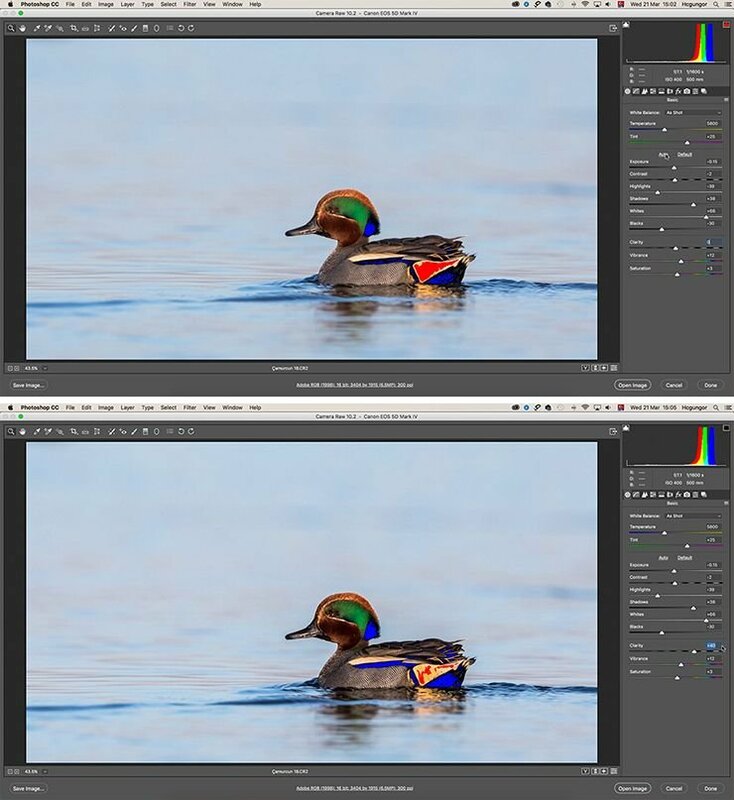 Please note that I move the value here down to “0” if the image is shot on high ISO like 2,500 and above so that I can reduce noise on Topaz DeNoise. The reason being is that even though giving a little sharpness to the image shot over ISO 2,500 increases the amount of unwanted noise (grain). Then I move to Tone Curve tab where I make some more adjustments on the image according to my liking by sliding Highlights, Lights, Darks and Shadows respectively. Again the values change according to the image but I generally move Highlights to (-), Lights to (+), Darks to (-) and Shadows to (+) direction. When I’m done with the adjustments on Camera RAW, I click on Open Image button and move to Photoshop CC main window where I perform some more adjustments. First action I take here is to reduce noise. I use Topaz Denoise for this purpose but this is the subject of another blog. I will not go into detail here. 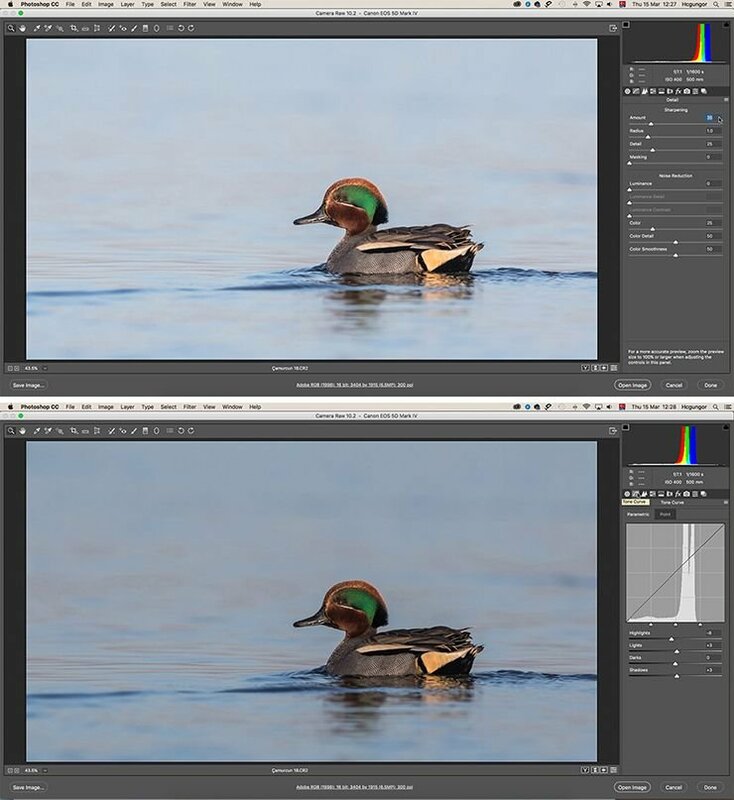 After applying Topaz DeNoise, I go to Image – Adjustments - Levels (Cmd+L) from the menu on top, and move the slider in the Input Levels either to left or right to adjust the light levels of the image, again to my own liking. 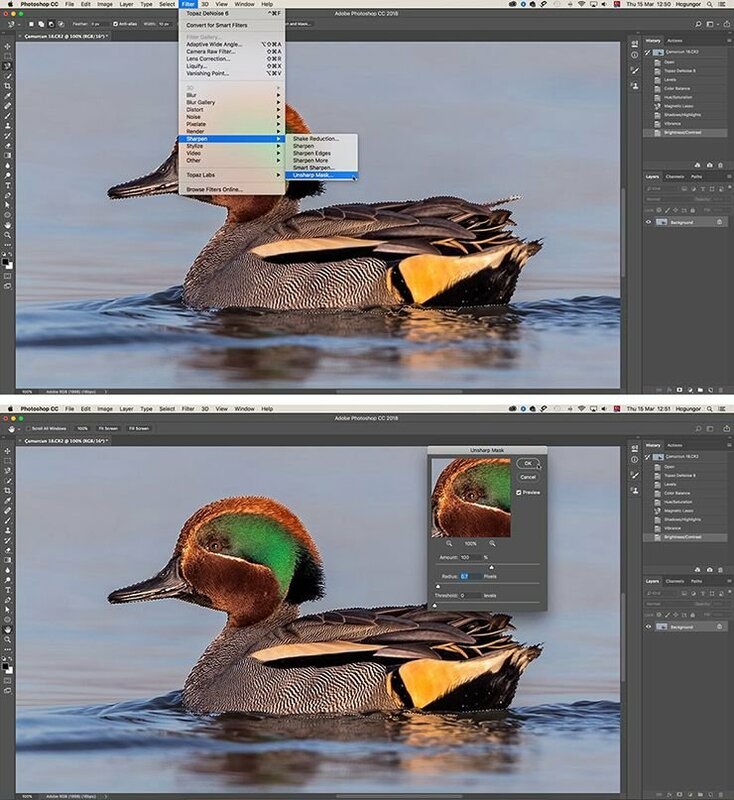 Then, I choose Image – Adjustments – Color Balance (Cmd+B) from the menu and increase the value on the first box of Color Levels, which is Cyan, to a maximum of 9, where I generally prefer a value around 7. 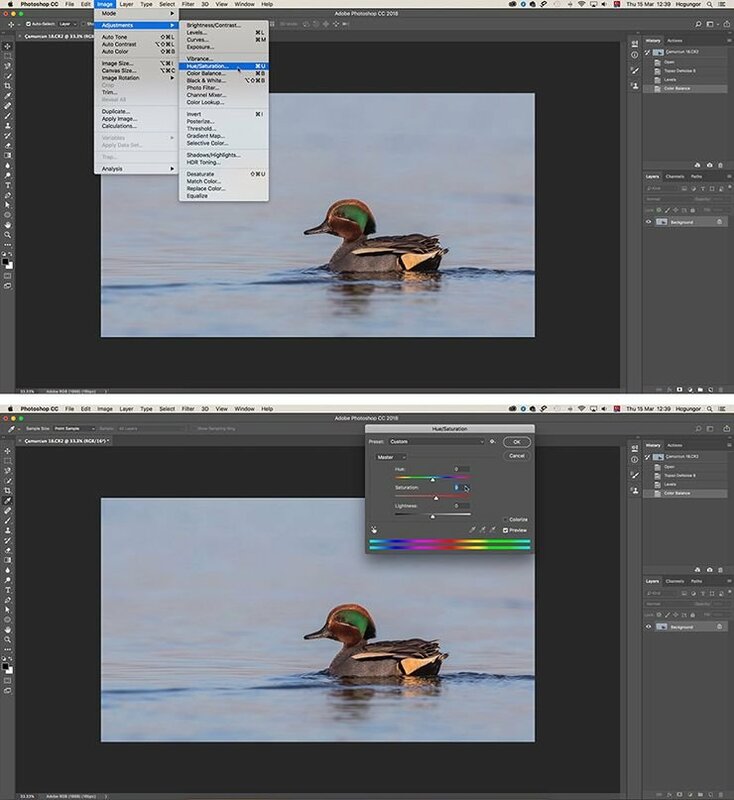 Then, from the menu, Image – Adjustments – Hue/Saturation (Cmd+U), I increase the value for Saturation to a maximum of 9 to give the image a bit of redness. And now the tricky part, before proceeding any further, in order to keep conformity (not to cause color difference) with the background, I apply some feather to the selected bird. 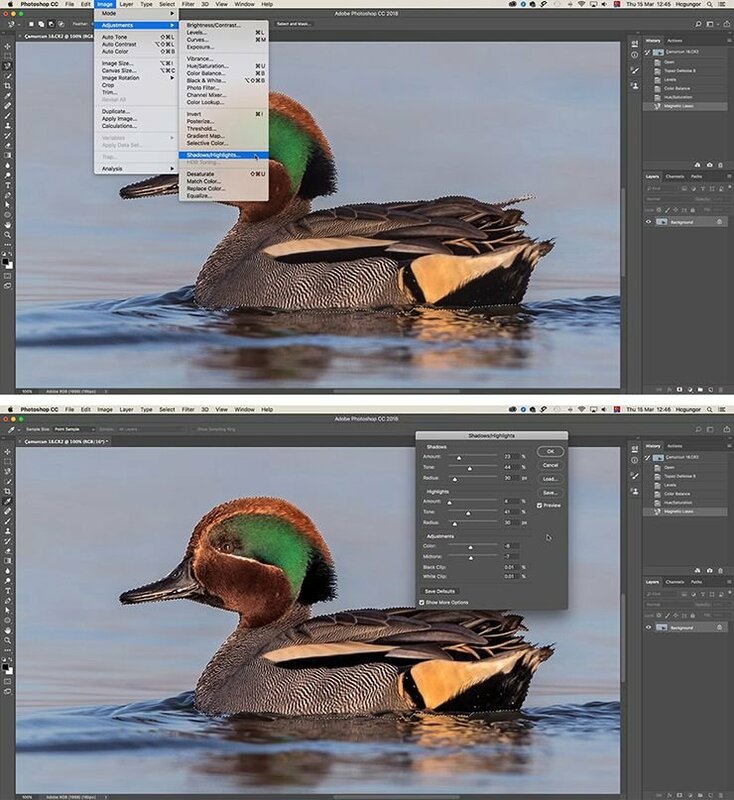 I choose Select – Modify – Feather (Shift+F6)from menu and apply a value between 8 to 14 for the Feather Radius. Now that I have selected the bird, it’s time to adjust some lighting options. To accomplish this, I first select Image – Adjustments – Shadows/Highlights... and move the Amount and Tone sliders for Shadows and Highlights, leaving the Radius slider alone, and on the Adjustments section, I change the Color and Midtone sliders according to my preference and hit OK.
Then, Image – Adjustments – Vibrance, and change the values there (not too much) and hit OK again. 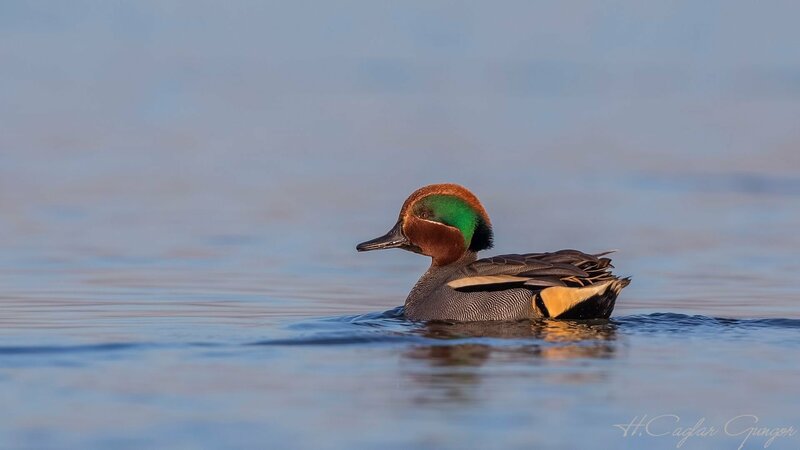 With the bird selected, I always use Unsharp Mask to give some sharpness to the image. Be careful here for not giving too much sharpness to your image as it might destroy a beautiful photograph. 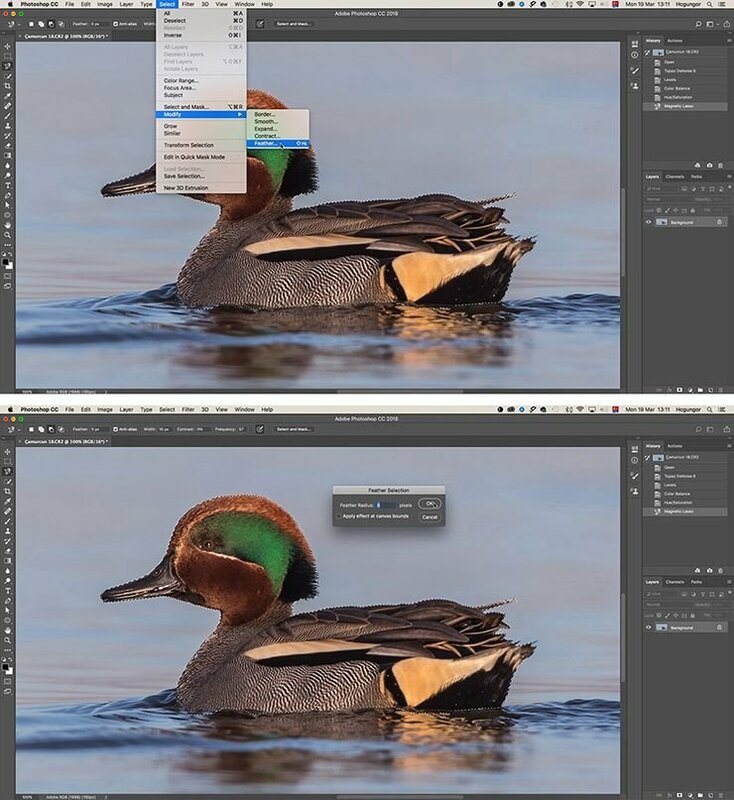 In cases where I need, changing the image size to Full HD for example, I resize my image by going to Image – Image Size (Alt+Cmd+I) and changing the width of the image. If you want to keep the aspect ratio, you must have the chain icon on the pop-up menu connected. I always keep Resolution at 300 dpi. Final step is to save the image. 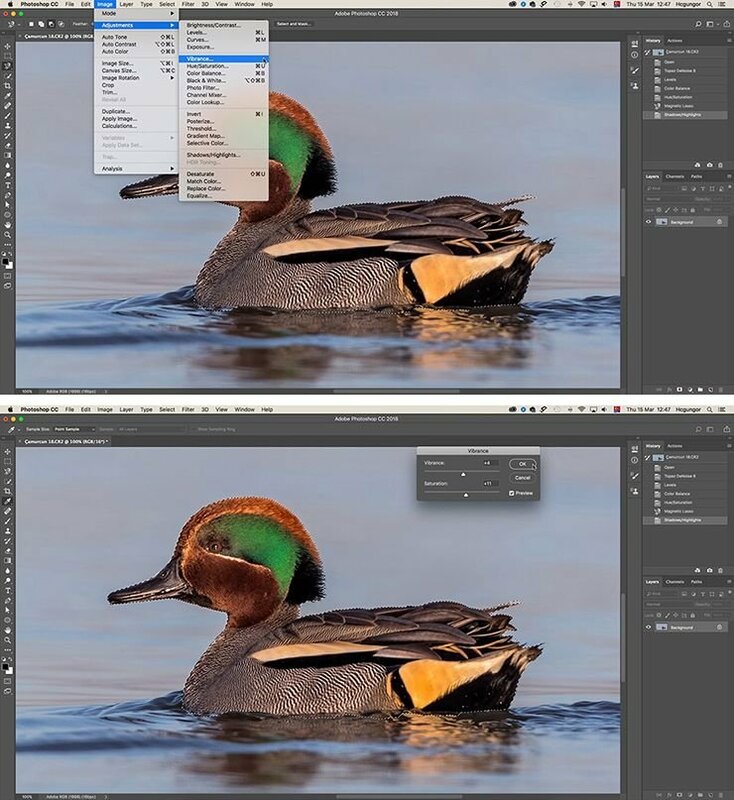 From File – Save As (Shift+Cmd+S), I choose JPG format, rename the file if necessary, and hit OK. I hope you’ll find this article useful. Please feel free to ask any questions and/or leave comments and suggestions. I would also be very pleased to hear about your own methods and/or if you have any additions to the above.